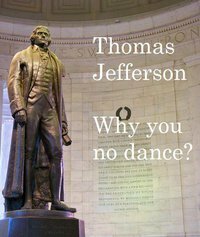 The dancing will commence at noon Saturday around the nation to promote ... well, I'm not sure what is being promoted, other than the freedom to dance inside the dome of the Jefferson Memorial in Washington. 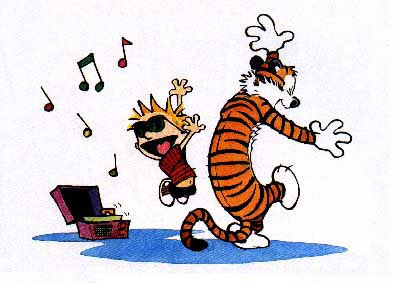 So tomorrow, high noon, the dancing will commence - not just in Washington, but in most every state (and perhaps even globally), the dancing will take place. As of this hour, some 3000 people say they'll dance at the Memorial. Here's the Tennessee Dance Party page on Facebook, and the page for the Memphis Party too. Economic turmoil games return/continue. Thanks so much. "Late yesterday afternoon, Republicans brought a “clean” debt ceiling bill to the House floor for the express purpose of watching it fail. The point was to let a right-wing caucus thump its chest, telling the White House that the hostage strategy — give GOP lawmakers sweeping cuts or they’ll cause a recession on purpose — is still on. "But the White House already knew that, making yesterday’s little charade the latest in a series of pathetic displays. When the dust settled, the final vote was 97 to 318, with 7 Dems voting “present,” and 9 members not voting at all. Every Republican voted against their own bill, as was predetermined when it was introduced. "The question becomes one of whether investors believe Republicans are crazy or really crazy. Yesterday, the GOP’s message was, “We’re pretending to be the latter, but don’t worry, we’re really the former.” The moment the financial industry stops believing that line, there’s cause for genuine alarm." "Morristown: In The Air and Sun", a documentary on migration of industrial capital and the arrival of immigrant labor in the town of Morristown by award-winner Anne Lewis is now online in a unique multimedia format which makes it very easy to explore. It's called Going South, Coming North: Migration and Union Organizing in Morristown, Tennessee. First released in 2007, the documentary tracks not just changes in industrial development, but also the often perceptions of local officials and residents in Tennessee, the rugged traveling life of migrant workers and the social impact on all involved. It's a fascinating, on-the-ground perspective which becomes even more amazing as we see the efforts of migrant workers to organize and protect their rights at the workplace. Created by Lewis and Fran Ansley with the University of Tennessee, this new web page on the Southern Spaces web journal, offers the story of the film in smaller sections of videos and facts, some newly updated, and makes it very easy to navigate and explore the film. I highly recommend you visit the site. You’re saying to all the others from Mexico, they don’t have to treat you worse than anybody else. You can organize. That’s exactly what you’re saying. Not only are you saying that to the people from Mexico but you’re saying that to the people of Hamblen County, too. Don't Dance With The Stars At The Jefferson Memorial? In fact, don't dance at all at the Jefferson Memorial in Washington, DC, as it will likely lead to your arrest, as it did yesterday. Dance as a form of protest is a growing trend, however. The inside of the dome at the Memorial is designated a non-public forum, which means no protests or demonstrations of any kind are allowed. And one does not always need a permit to protest at the nation's capital, groups of 25 or less are allowed to express opinions with no permit. But see, the rules currently in place, as I said, designate the interior of the Jefferson Memorial dome as a non-public forum - except of course when folks are allowed to use it as just that for an annual Easter service or to kick-off the Cherry Blossom Festival. But the dancing is surely an organized protest - since a website called Thomas Jefferson Dance Party is geared at promoting a very specific kind of protest at a very specific place. Oh, America, can't we just dance? Can you shake yer groove thing in America just because you want to?